Lee R. Raymond Retired Chairman and Chief Executive Officer of Exxon Mobil Corporation, oil and gas. Director since 1987. Mr. Raymond was Chairman of the Board and Chief Executive Officer of Exxon Mobil from 1999 until he retired in December 2005. He had been Chairman of the Board and Chief Executive Officer of Exxon Corporation from 1993 until its merger with Mobil Oil Corporation in 1999, having begun his career in 1963 with Exxon. 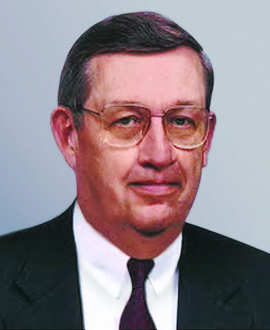 Mr. Raymond graduated from the University of Wisconsin with a bachelor degree in chemical engineering in 1960 and received a Ph.D. in the same discipline from the University of Minnesota in 1963. He was a director of J.P. Morgan & Co. Incorporated from 1987 until 2000. He is Chairman of the National Petroleum Council, Vice Chairman of the Board of Trustees of the American Enterprise Institute, a trustee of the Wisconsin Alumni Research Foundation, a member of the President's Export Council, a Trustee of the Mayo Clinic, and a member of the Innovations in Medicine Leadership Council of UT Southwestern Medical Center.